It seems we fix one room of the house how we like it, and then another room goes to pot. 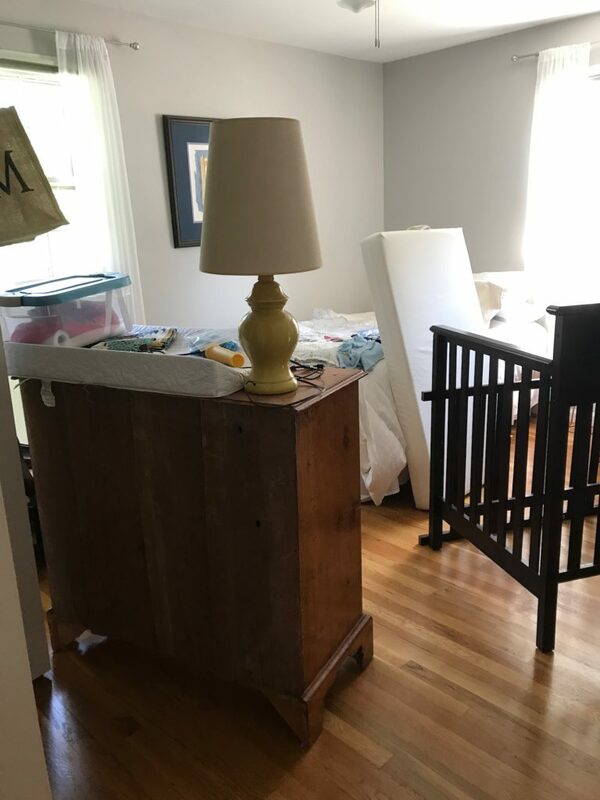 While things have come together in the living room, the guest room – turned – nursery looks like a tornado went through. 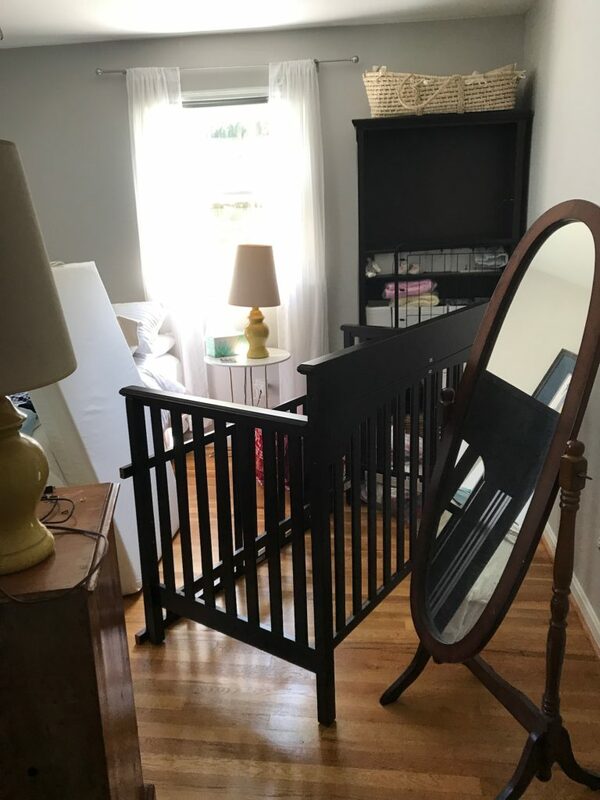 That is so funny to me because one would think that “nesting” means getting a nursery ready. Apparently in my case, it means work on every room except the one that will belong to the baby. 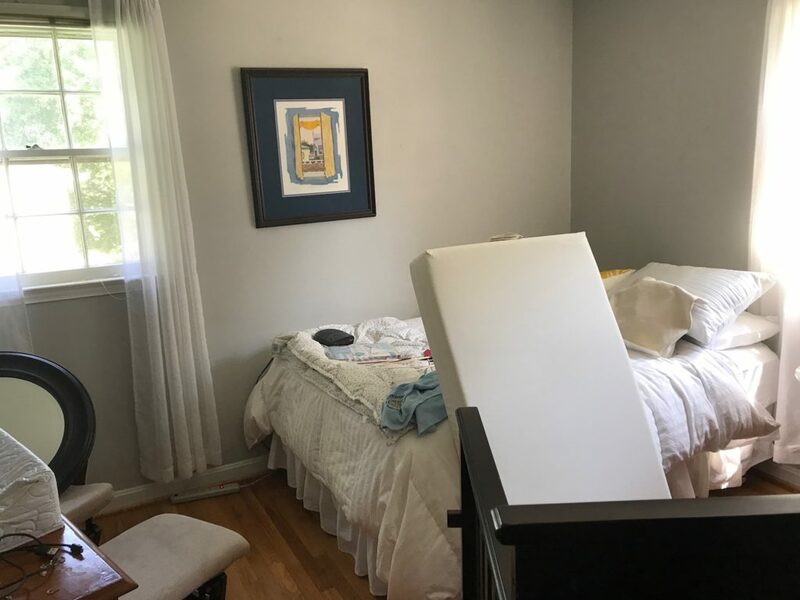 When I shared this space before, it was a simple guest room. Now, it is just a mess. Let’s take a look. 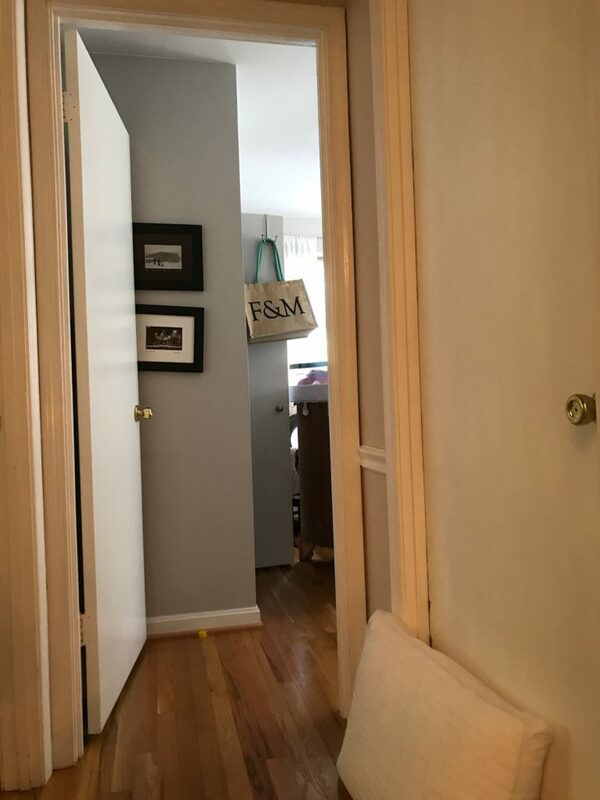 Bradley’s room is through the door on the right. Any other parents layer pillows on the door during nap time? 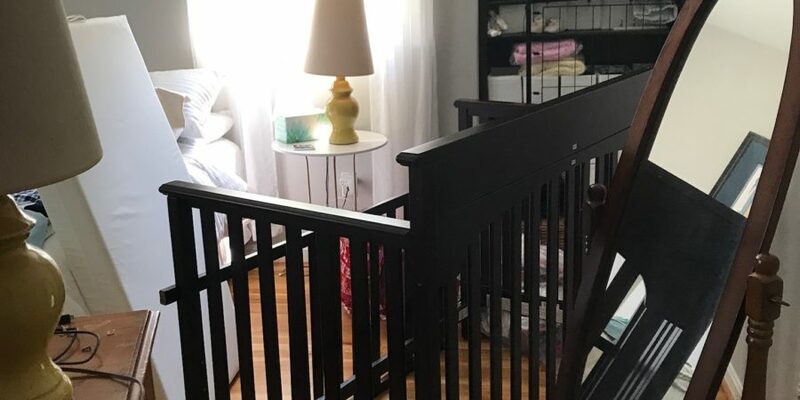 In this room, we have a crib gifted to us by my awesome friend Monique. But, we’re missing some bolts so it’s not all the way assembled. 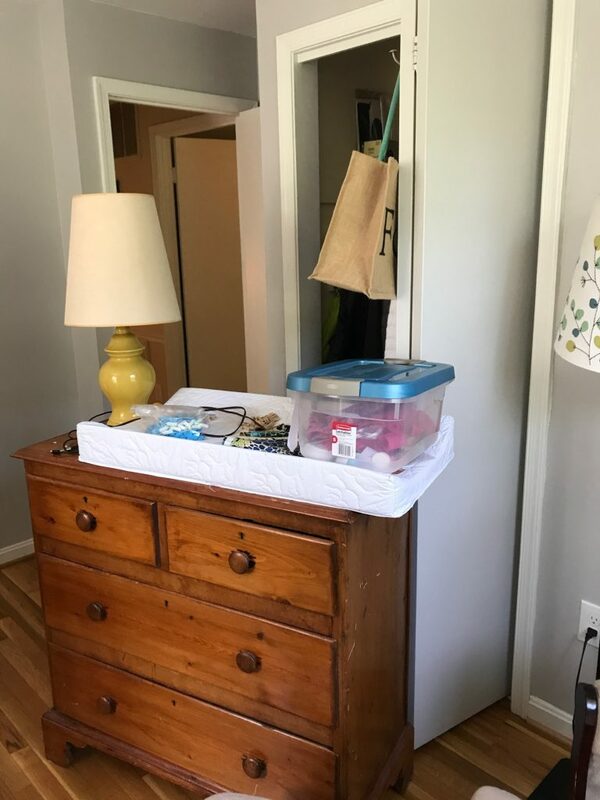 We also have the dresser my mom is going to take back in a few weeks. It has no place to go, so it’s awkwardly planted in the middle of the floor. 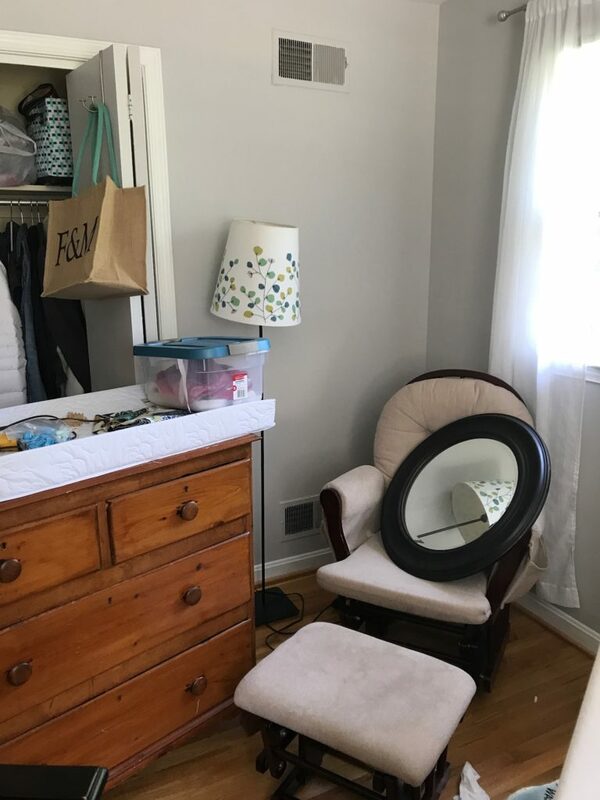 We also have a mirror I had in high school that doesn’t quite fit either. That might also be going back with my mom (but she won’t know that until she reads this! 😂). 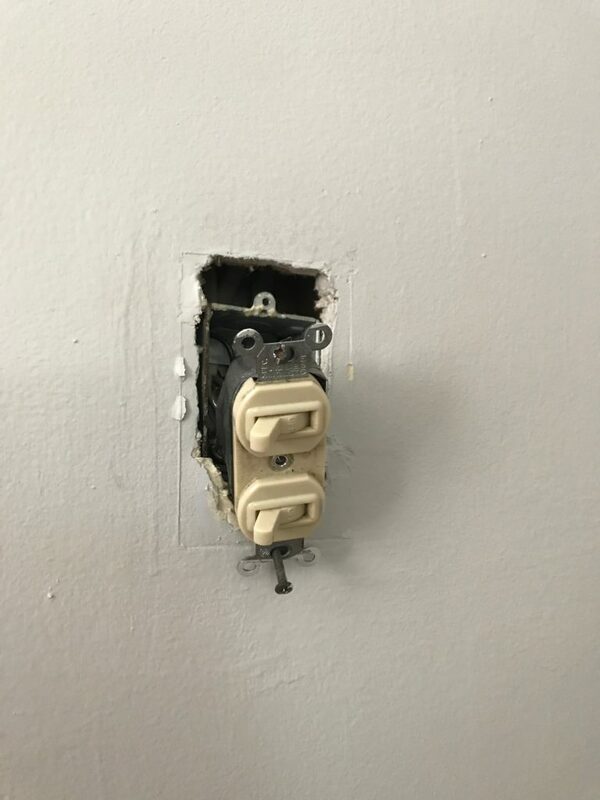 Pat started replacing the outlets and switches. Obviously that is a work in progress. Mary Grace brought us the glider from her house. We also have craft supplies strewn about from the baby shower. 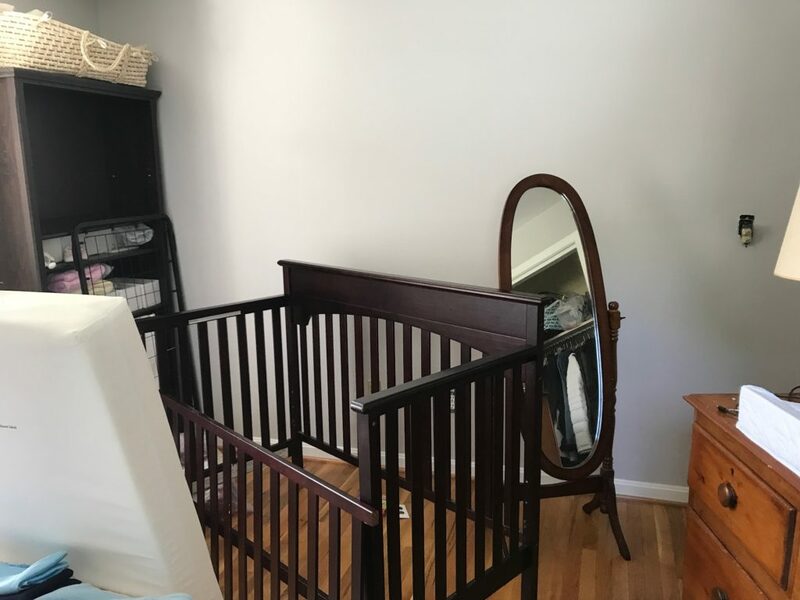 This room was the dumping ground for all of the decor. 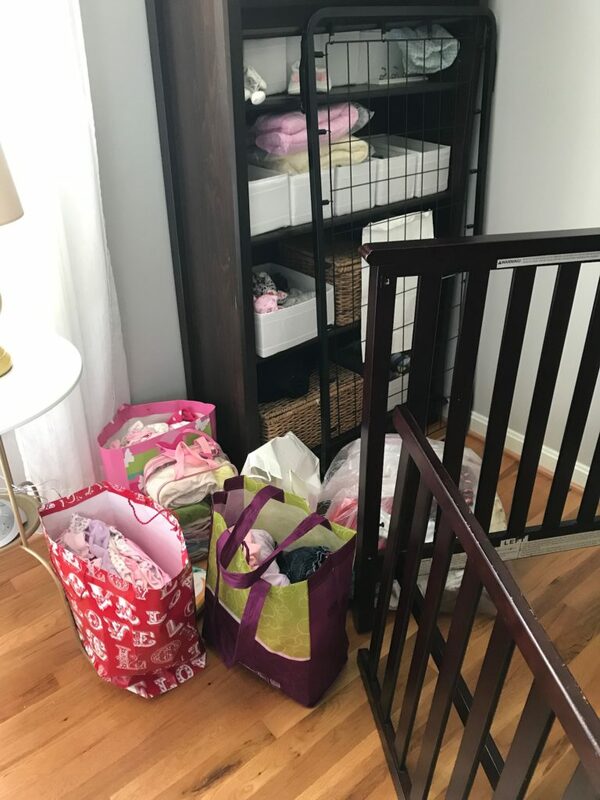 We have been so fortunate to have received baby girl clothes from friends and family (thank you! ), but most of it I haven’t gone through. The bookcase at least only contains clothes now! I either purged or relocated the books. There is still a double bed in there. Underneath all of that crap. 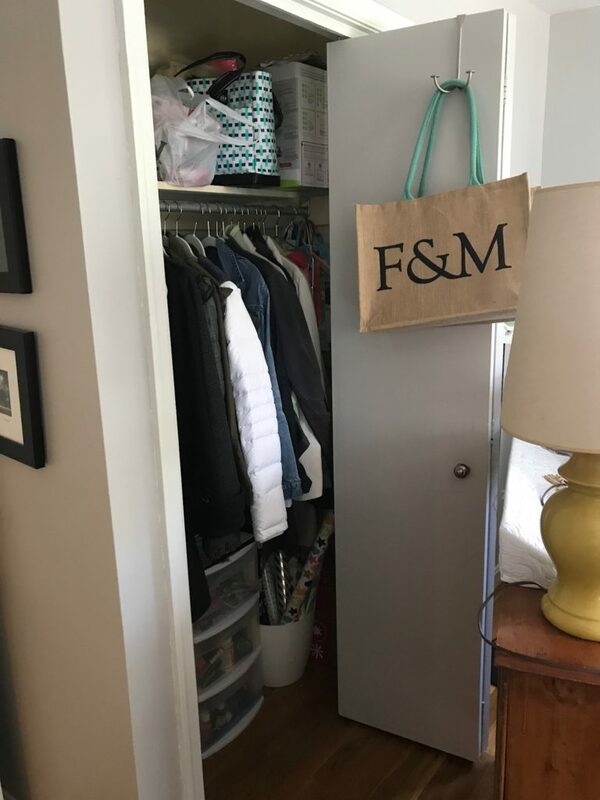 And I have still not addressed the closet. Thanks for the notice on the Cheval mirror that you had to have in high school sweetheart ! Craig’s List?